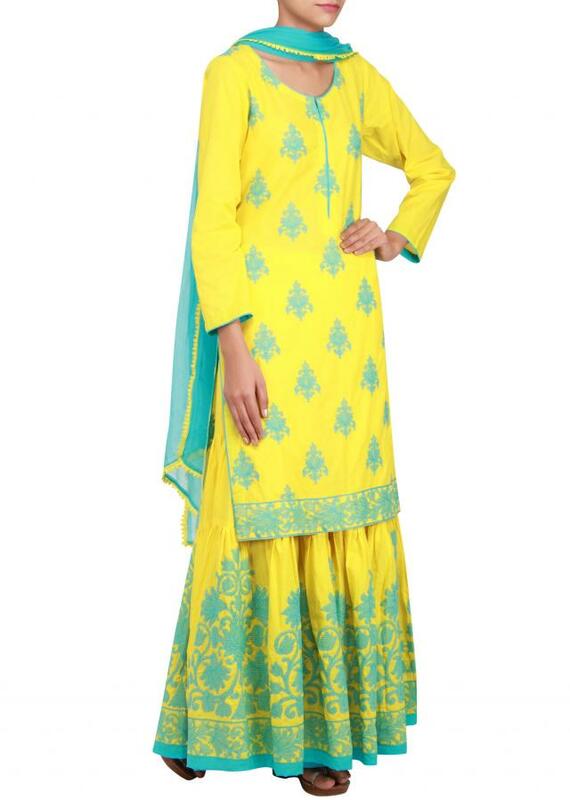 Featuring a yellow a-line suit in cotton embellished with blue thread work all over. Full sleeves in yellow with blue piping. 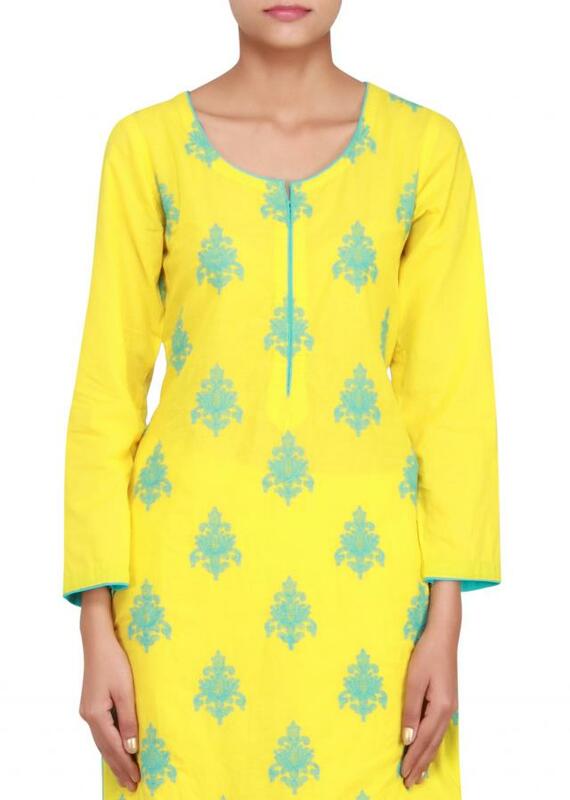 Round neckline with small opening and blue piping. 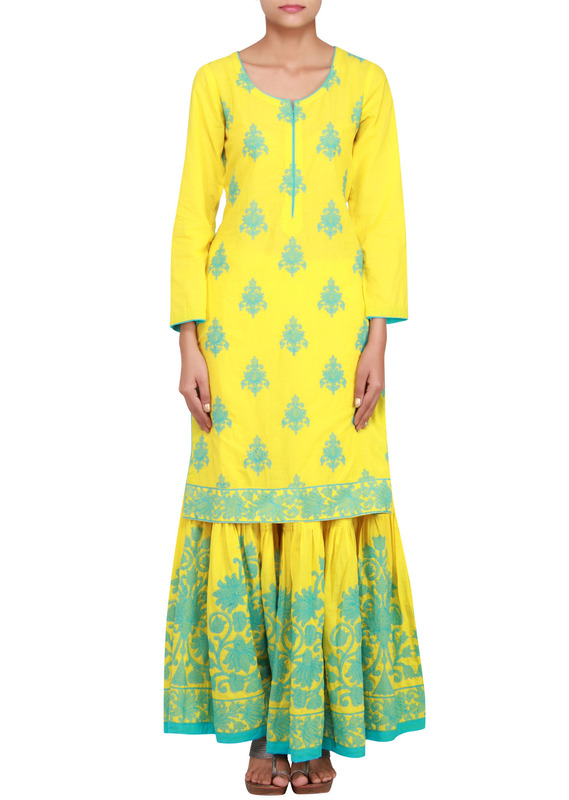 It comes with a yellow cotton palazzo pant embellished in blue thread work on border. 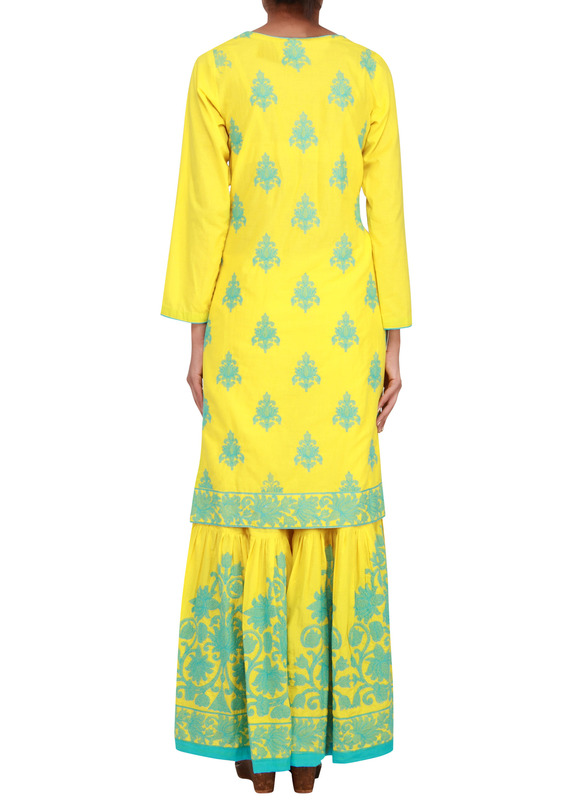 Dupatta is in blue chiffon with yellow lace on the border.